A promissory note is how you legally swear to repay an amount of money. This happens in different situations. In real estate, the promissory note is a part and parcel of the mortgage contract. You are essentially promising to pay back the loan amount you’ve borrowed. In health care institutions, physicians are asked to sign promissory notes that oblige them to contribute toward the hospital’s funding. When you are in any other loan situation, you might even sign a forgivable promissory note, or a “soft second,” that waives off a part of your repayment. 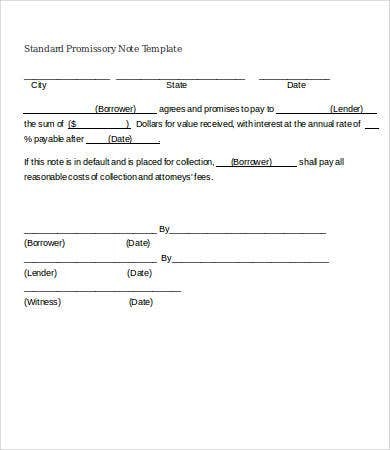 To give you a better idea of promissory notes in various contexts in order to draft one, find a Note Template from the collection below. Many of them will be completely editable, and all of them are free. 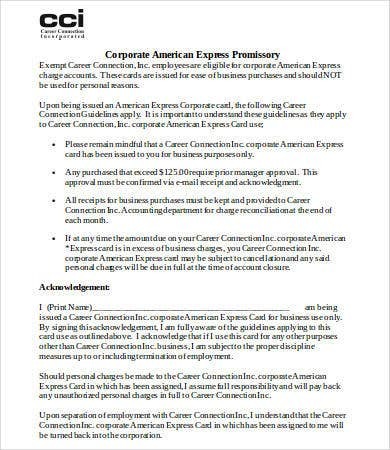 Because a promissory note is nothing more than a documented pledge to pay some amount of money within a certain time frame (and other applicable conditions), it is a document you find in many settings. If you’ve ever been unable to pay your school fees until a later date, the accounting department probably gave you a Blank Promissory Note or asked you to write a letter stating certain details a typical promissory note will contain. 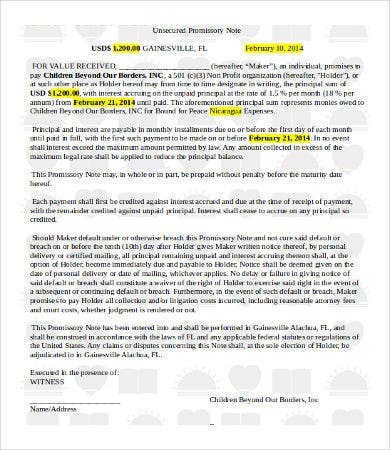 This is typically an unsecured promissory note. 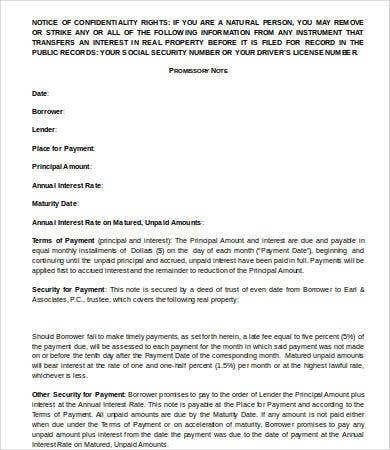 See Standard Promissory Note Template as an example of such a note. 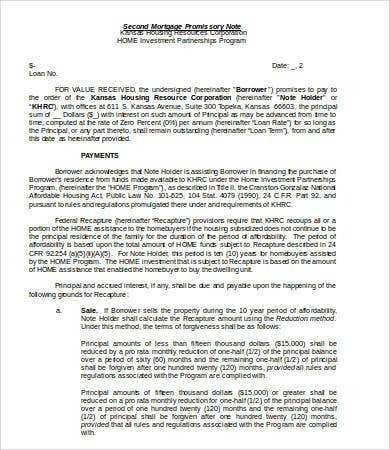 In more serious situations (i.e., a lot of money is involved), institutions will give you a Secured Promissory Note Template. This kind of promissory note is to be accompanied with other documents that secures collateral to your pledge. In the case you are then unable to fulfill your repayment promise, the collateral property will be repossessed. 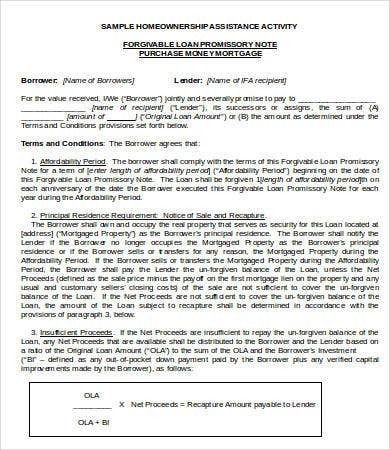 See Forgivable Loan Promissory Note Template for the details. You will commonly encounter a promissory note in real estate, when you’ve applied for a mortgage loan. 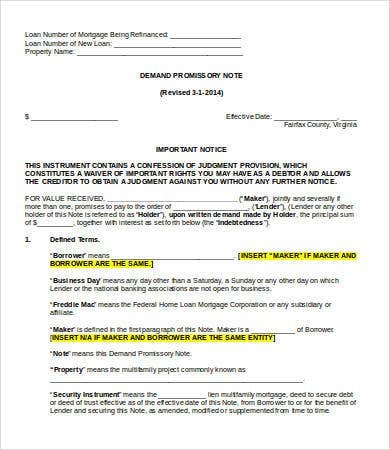 See Mortgage Promissory Note Template. 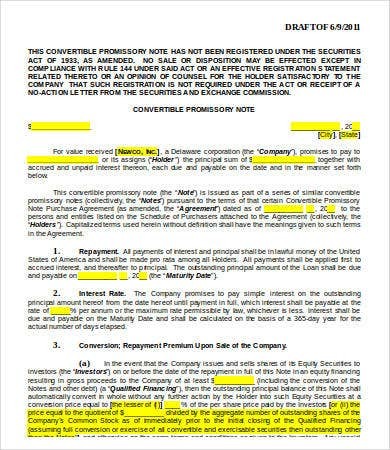 See Corporate Promissory Note Template for a comprehensive idea. 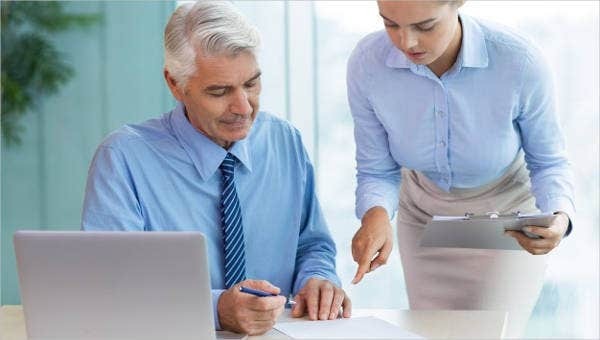 Even if you have not borrowed money but are obligated to contribute toward a fund as a necessary part of your role and agreement, a promissory note is signed to legally enforce compliance with the payment. 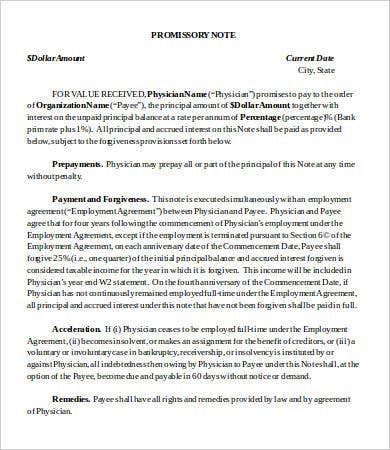 See Physician Promissory Note Template. Physicians are asked to contribute a certain amount to the hospital’s support funding, in line with their recruitment agreement. If you are a note-issuing entity, these templates will save you time in drafting and collecting legal details. All of them are free of charge and will be completely editable to suit any situation anywhere, even serving as an International Promissory Note.